Functional yet elegant, this sturdy print and poster rack from The Miller Group is a great way to organize paintings, drawings, posters, or photos in your studio, home, or at a show. 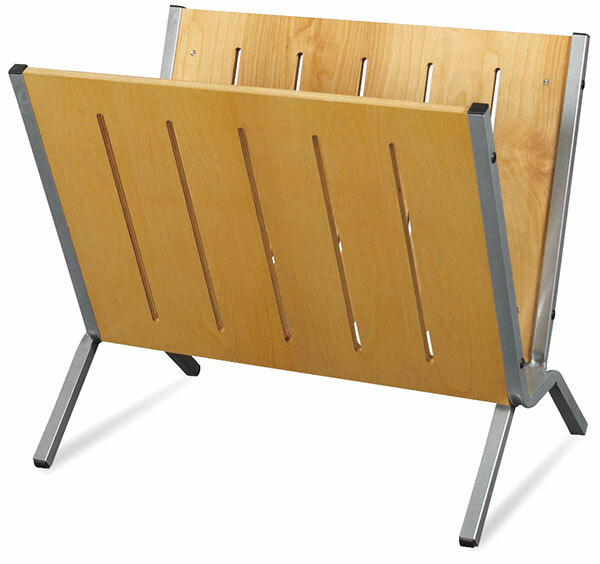 Constructed of routed birchwood panels and a powder-coated silver metal frame, the rack assembles in minutes and is extremely portable. Its simple, contemporary design complements most décors.